← Welsh = likes rugby and can sing! The Chartered Institute of Public Relations (CIPR) has closed its investigation into the Department for Work and Pensions’ use of comments and images from fake benefits claimants in a leaflet designed to demonstrate the positive impact of a controversial government policy. 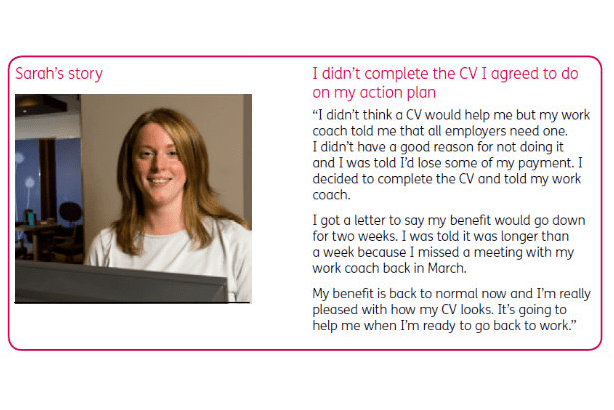 The investigation was launched on 19 August, after a Freedom of Information request disclosed that a number of individuals depicted in the leaflet were stock photos, and their stories were fictional, albeit “based on conversations our staff have had with claimants”, the DWP said at the time. The institute investigated this case of ‘astroturfing’ – falsely creating the impression of independent, popular support – on the grounds that such practices contravene its Code of Conduct due to a lack of honesty and integrity, and that they bring the profession into disrepute. In early September, the CIPR agreed to suspend its investigation following confirmation that the DWP was conducting its own investigation. In a statement published on Friday, the CIPR said it had now been confirmed by the DWP that no members of the institute were involved in or responsible for the leaflet. The CIPR’s investigation has therefore been closed. The CIPR said it had been told by the Government Communications Service that government communications professionals “continue to be advised of expected standards of best practice in line with the Civil Service Code”. Sarah Pinch, president of the CIPR, said: “Honest regard for the public interest; delivering reliable and accurate information; and a commitment to never knowingly mislead are vital components of proper professional practice – and I am pleased that in this case, the DWP and GCS have confirmed that no members of the institute were involved. The DWP was not immediately able to confirm the progress of its internal investigation. This entry was posted in DWP and tagged astroturfing, CIPR, Civil Service code of conduct, communications, dwp, investigation. Bookmark the permalink. Thank you for keeping us up to date with this story. Valuable update on this story. Poor DWP being expected to know about its own internal investigation?! !